Charles Willing was born in Bristol, England, the son of Anne Harrison and Thomas Willing. Descended from a long line of merchants, at age eighteen Charles was taken to Philadelphia by his father where he took over the merchant house founded by his older brother Thomas in 1726. In 1731 he married Anne, the daughter of Abigail and Joseph Shippen; they had eleven children. This advantageous marriage led to the establishment of one of the most prominent families in Philadelphia. His son Thomas Willing was also a Penn trustee. In the public realm, Willing assisted in the establishing of the Philadelphia Associators (a militia company) in 1744. He was a founder and trustee of the Academy and College of Philadelphia (now the University of Pennsylvania). 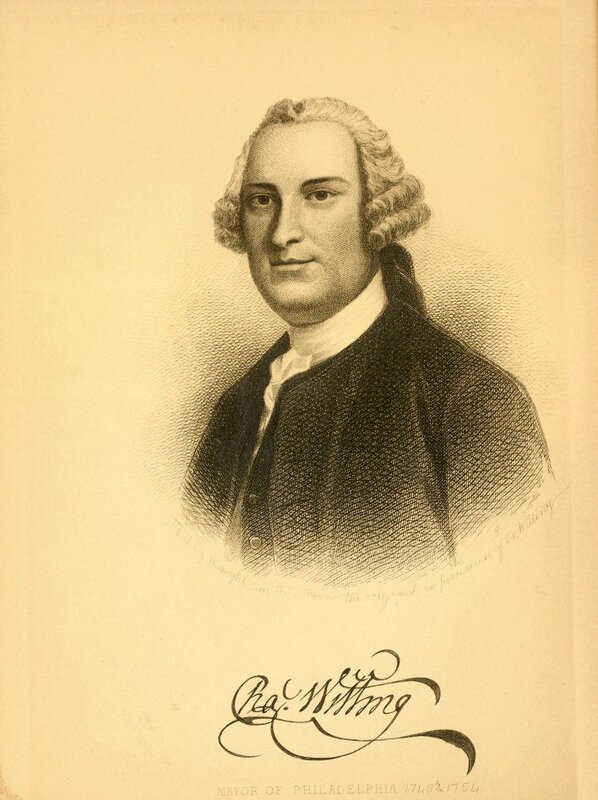 Willing was twice elected mayor of Philadelphia, in 1748 and again in 1754, the same year he died of ship fever.